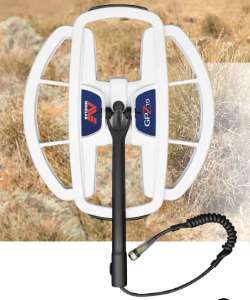 New Minelab GPZ19 Now Available. Just thought I would keep you up to date with what is happening in the next month. It is starting to get pretty hot in the Goldfields so if you are going out there now, make sure you have all your safety gear up to date particularly your satellite phone and personal EPIRB Locator Beacon and go plenty of water and provisions. Dont risk your life for a piece of metal! The New GPZ Coil is now in your stores after many months of waiting. It was released on 14 November. Not sure what happened to the original timetable but this coil was supposed to be out many months ago. Apparently the GPZ 19 Super-D coil has been designed give a significant depth increase over the standard GPZ 14 coil. You know what, we will be buying one of course, but before the HypeDust settles, we want to try the coil out ourselves to make sure the claims made about depth and performance are correct. If you have a GPZ7000 purchased at the original price of $10700 prior to March 2016 you get the coil for $1295 not the regular $1795. How exceedingly generous of that mob. If you are thinking of buying one of our metal detector bags, dont just yet, we will put out a Christmas special for our Australian readers on December 1. It will be a great opportunity to get the best metal detector protective bag available at a price you will not see again. 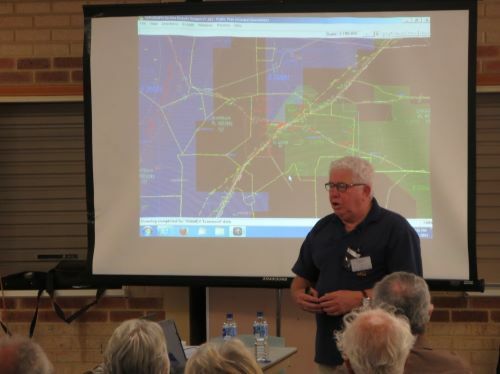 The APLA Perth Branch Open Day is provided for Non Members of APLA as it explains the basics people need to know to go prospecting in WA with information on safety, Geology, Tengraph, Geomap, Dollying/Panning and equipment you need so it helps you understand what is required to start prospecting. I Understand that a Minelab 5000 is also to be raffled off - tickets will be sold on the day but the draw of the Minelab 5000 will be in February. Just in time for the 2017 Prospecting Season. Bill will be talking about how to target Gold Nuggets in a Million Square Miles of WA. Here is more details on the APLA Website with a map of directions. APLA Open Day Event Page. In our last newsletter I reported that I had started to wear hearing aids and needed to set them up for detecting. 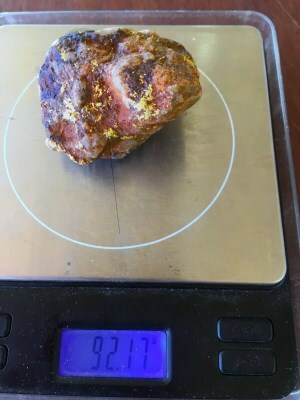 Over the past 6 weeks I have been involved in sampling on our gold mining lease and with a commitments to APLA for the AGM, so have not had much time to spend in the field testing detectors. However - I can hear stuff now - especially metal detector target signals which I may have missed before. As you know the reality is that you must hear a signal before you can dig it! Another reality is that most people have some issues with hearing in particular older males - so any assistance you can get with hearing target signals the more chance you have of finding gold. In the past I have used boosters and speakers at my shoulders to ensure I hear target signals.The hearing aids I now wear are Phonak Over ear aids that are very confortable, completely hidden and connected to a PHONAK Compilot II Bluetooth Receiver. The main purpose of the Phonak bluetooth receiver/transmitter is to connect your mobile phone to your hearing aids so you can hear it and have hands free operation. BUT you can also get your Minelab 7000 paired to the phonak bluetooth receiver so it connects wireslessly to your Phonak hearing aids - This I will be doing before the next detecting season. Currently I am using the hearing aids by connecting an audio lead from the 2300 or 5000 to the phonak Bluetooth Compilot which then transmits the sound to my hearing aids enabling me to control the volume and hear many more targets with greater clarity. We get a lot of overseas queries on gold prospecting in WA, asking where to find gold and where they are allowed to go prospecting and metal detecting. Here is some information that might help if you are planning a trip to West Australia in 2017, I published this on our Facebook page but repeat it here just in case you do not read the Gold Prospecting Facebook Page. There are also links to Department of Mines pamphlets and those pamphlets talk about what the Miners right Allows you to do and where you can go prospecting. Overseas people are allowed to get WA miners rights. The main thing is to make sure you get a Miners Right each they are only $25 and currently last for life. The other requirement is that you prospect on land that you are allowed to go and all that is covered on the website in pages on gold mining regulations and other pages. There is quite a bit of land under granted Exploration Tenements - these are massive tracts of land that big mining companies peg so they can be assured that they are protected when they spend prospecting dollars. These tracts of land can be prospected upon provided you have a Section 40E Permit so its pretty easy to get onto good land where you might find gold -its just a matter of researching for your prospecting areas. Section 40E Permits on Exploration Leases. You can read that in conjunction with the Tengraph Online Free Training Page, where you can Download our free training e book that will help you can understand about Tengraph online. Tengraph Online - Tells you where you can go metal detecting. These seminars are mainly in a training room in Cue Approximately 600km North East of Perth in the Cue Meekatharra Mining District (2 days in house theory and 1 day in the field) where we teach people how to use the programs mentioned above. How to go metal detecting with the Minelab 2300, 7000, 4500 and 5000 metal detectors with reference to other detectors like the Garrett, Minelab 3030. Here is a link to the page which will be updated for 2017 dates next month (December). Gold Prospecting and Metal Detecting Seminars. We provide free software, all the geological and topographic maps for WA and locations for old goldmines at that seminar to help people find gold. The last day is prospecting in the field where people are taught the practical application of Geomap real time, using a metal detector and field geology. After the Seminar you will become the "Masters of your own Prospecting Destiny" and not have to rely on others for information about gold prospecting locations in WA! Here is the latest Geological Survey Newsletter from the Department of Mines in WA. - We also will Ask YOU what information you want us to Deliver to you prior to the 2017 Prospecting season. This is to ensure we are providing the information YOU need to go prospecting successfully and safely in 2017.